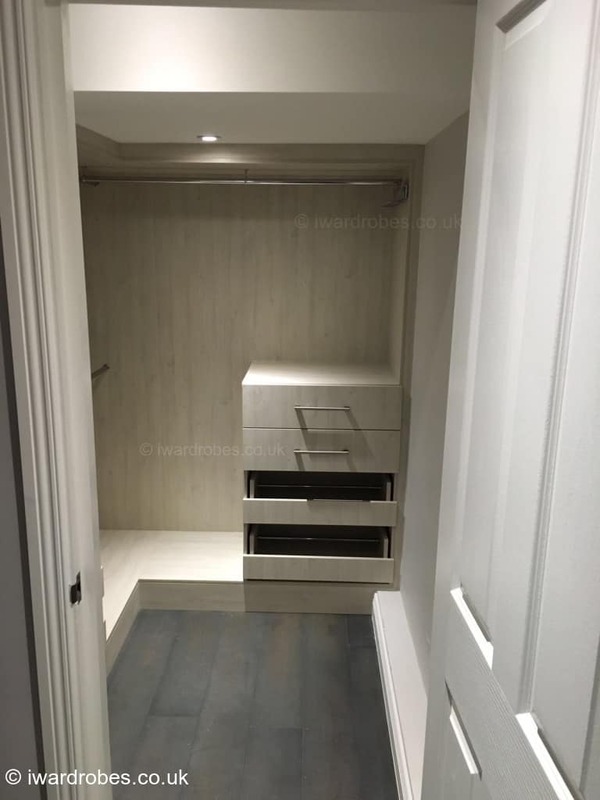 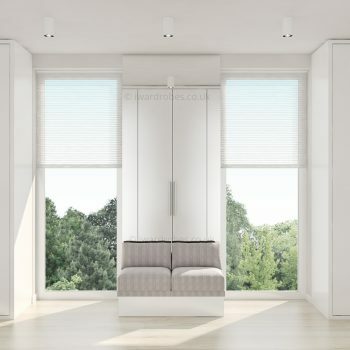 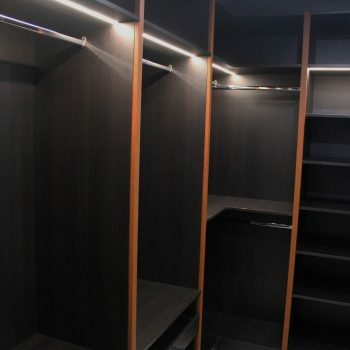 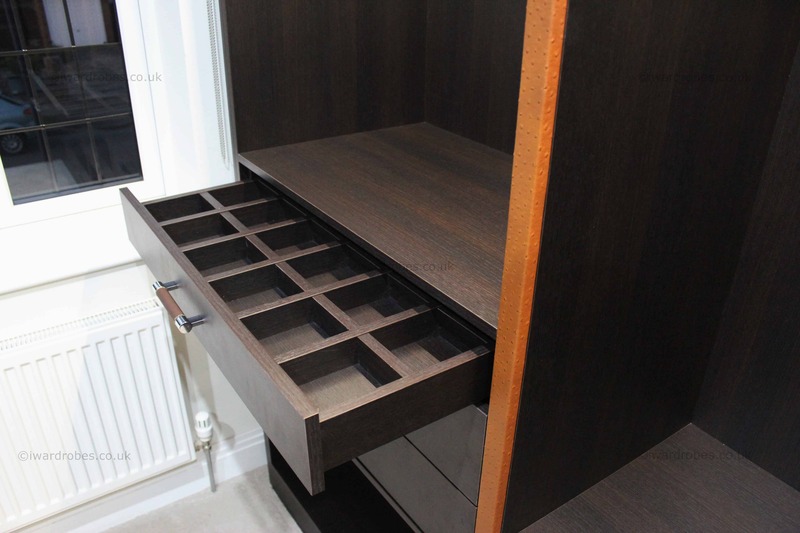 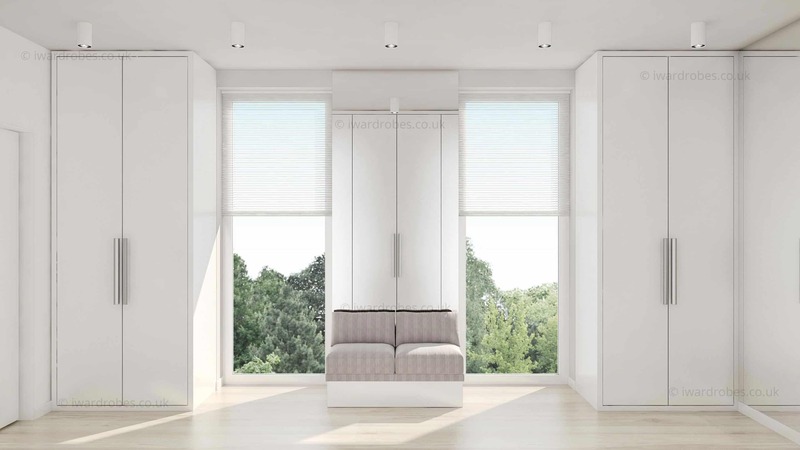 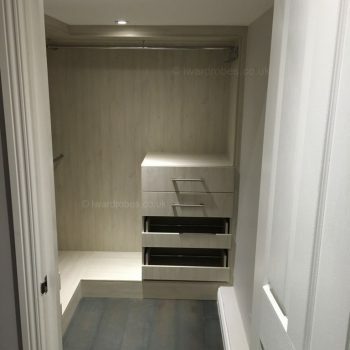 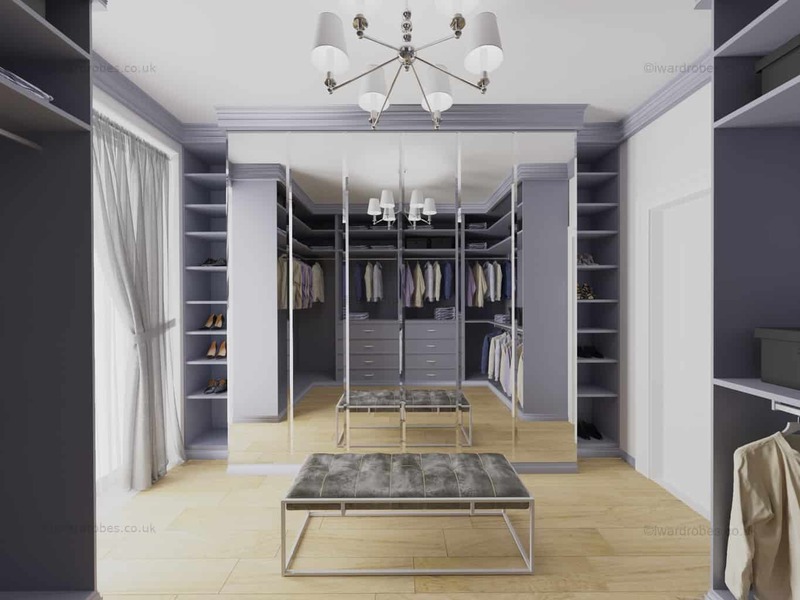 We design and install bespoke walk in wardrobes in London. 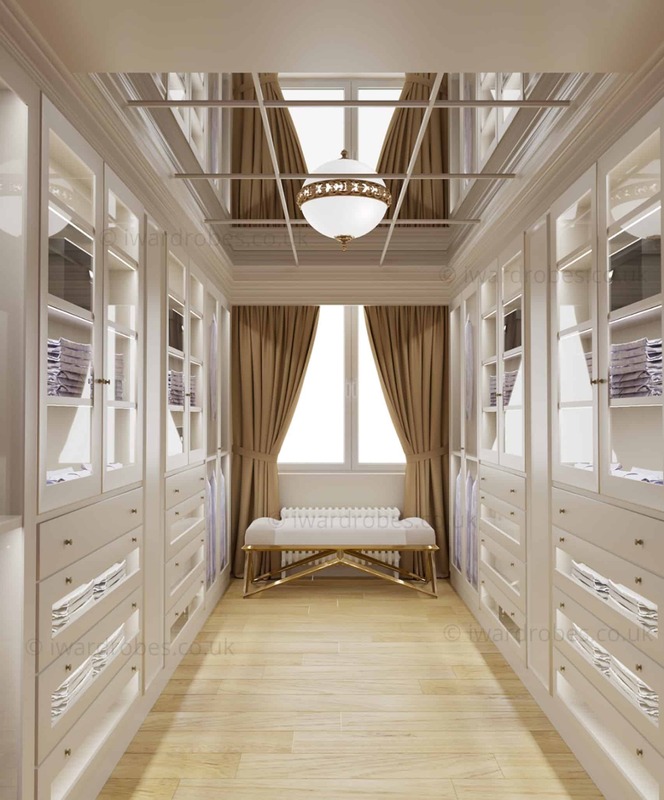 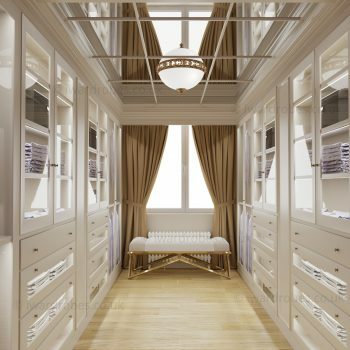 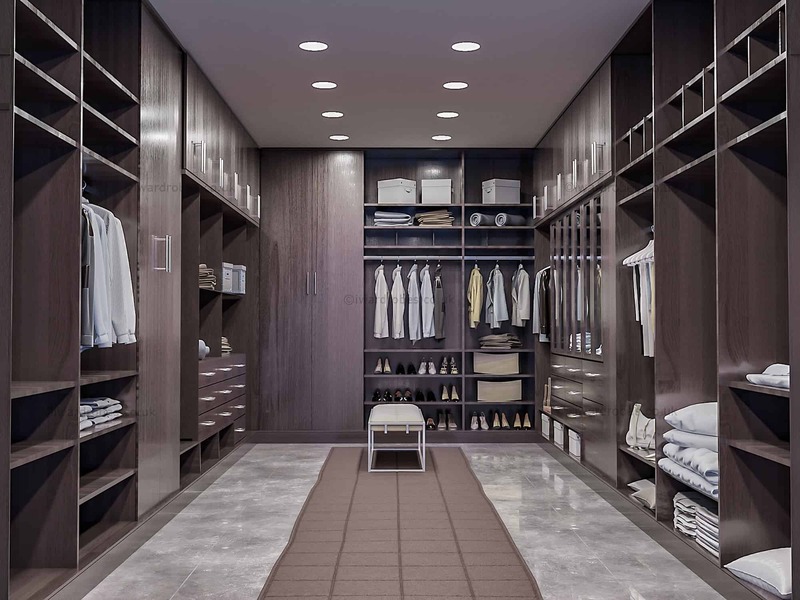 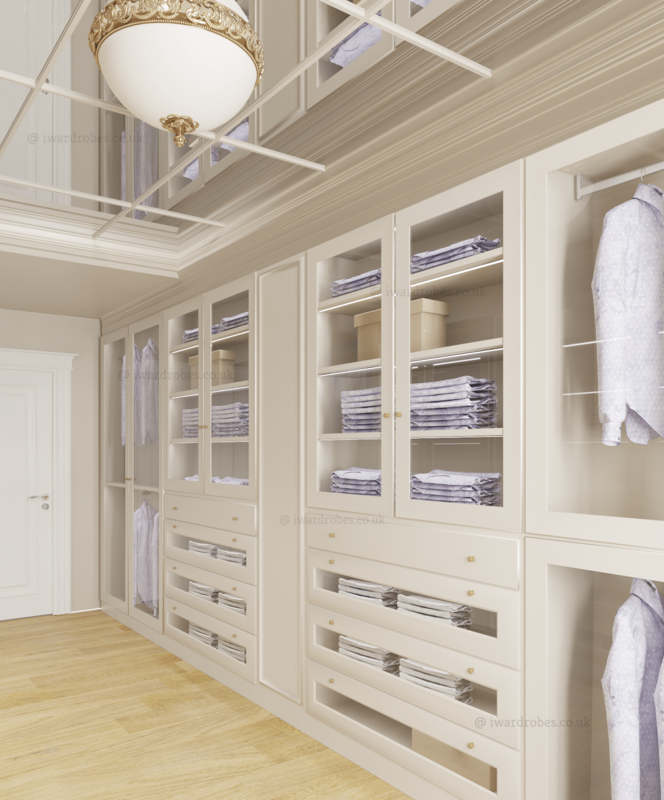 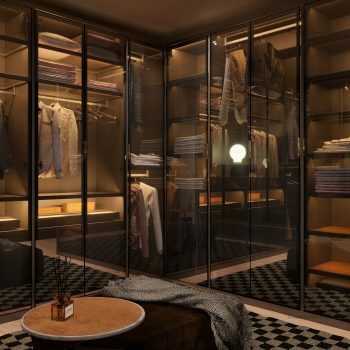 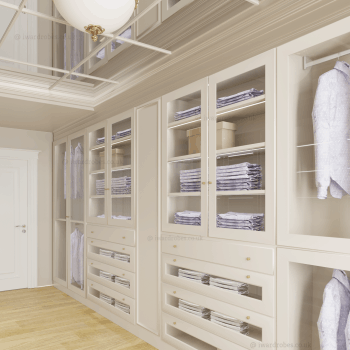 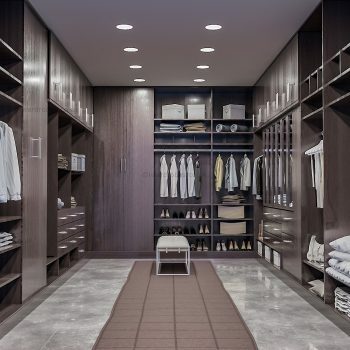 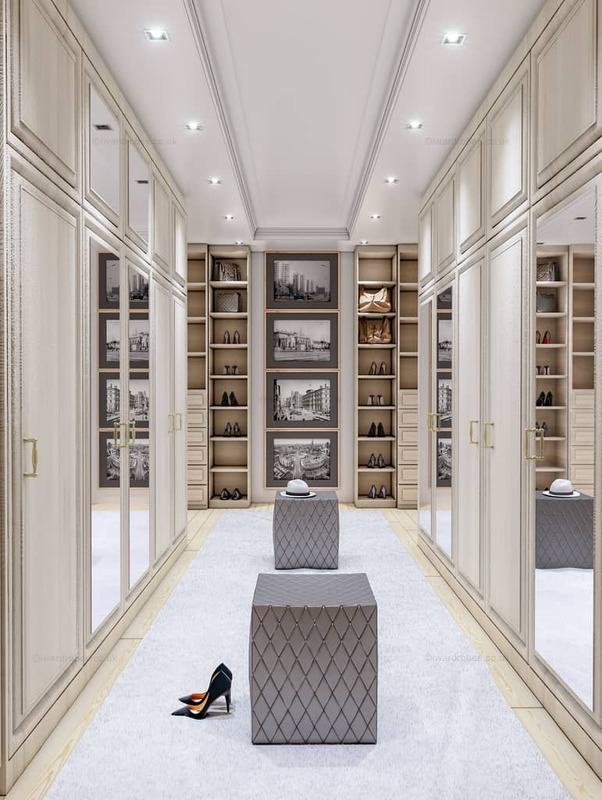 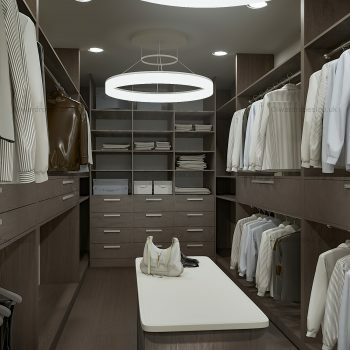 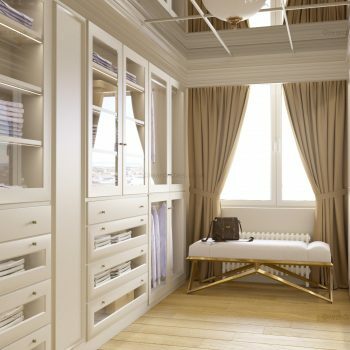 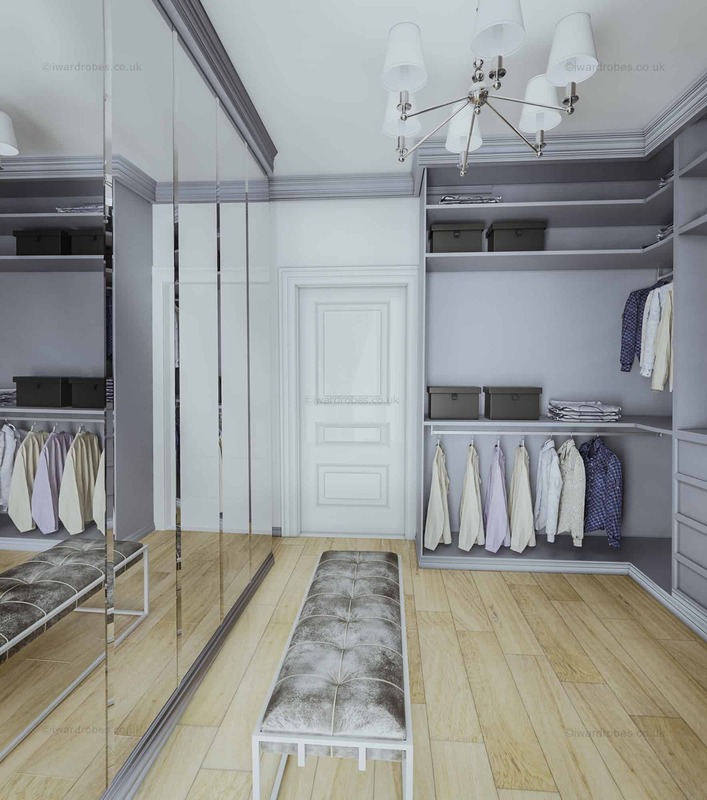 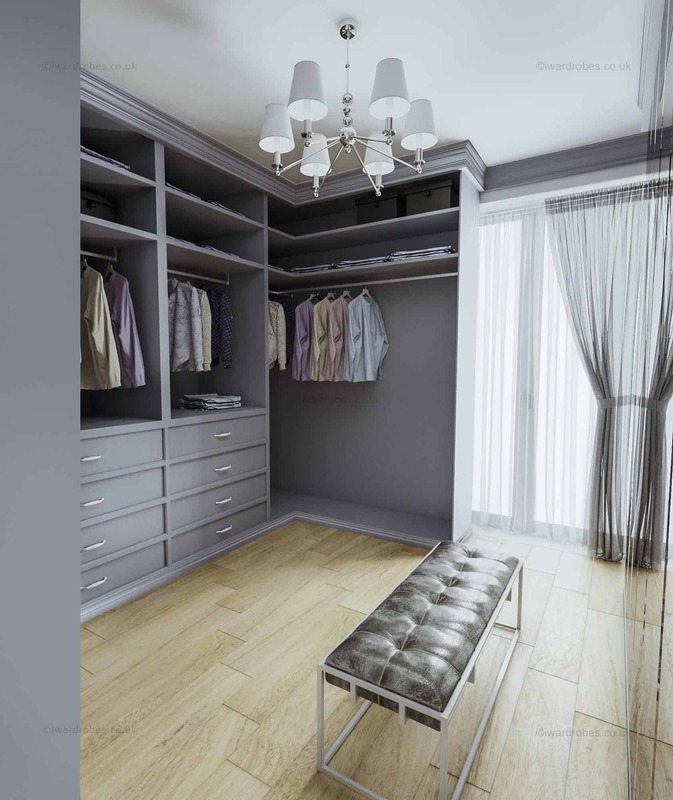 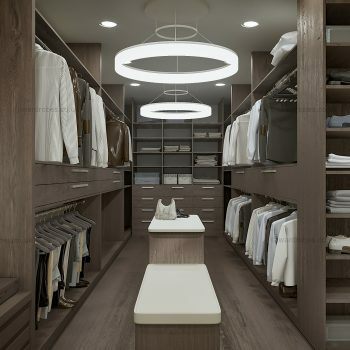 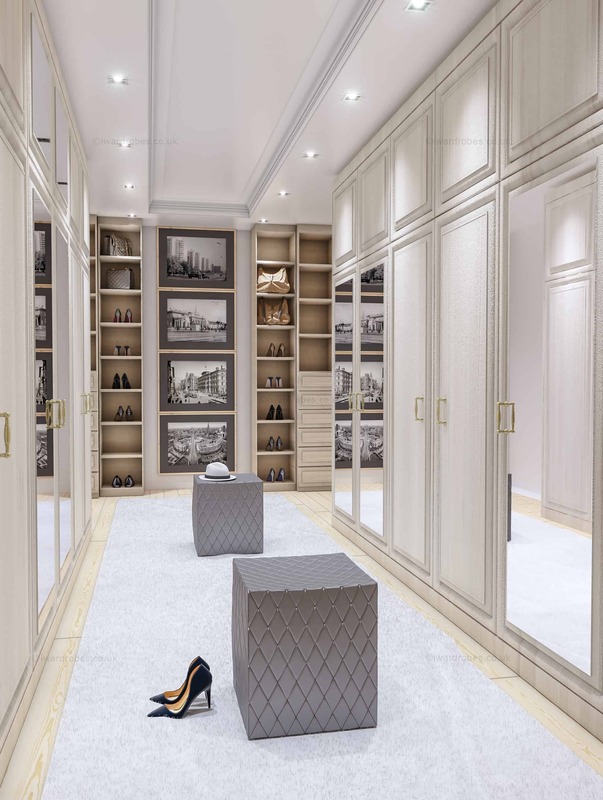 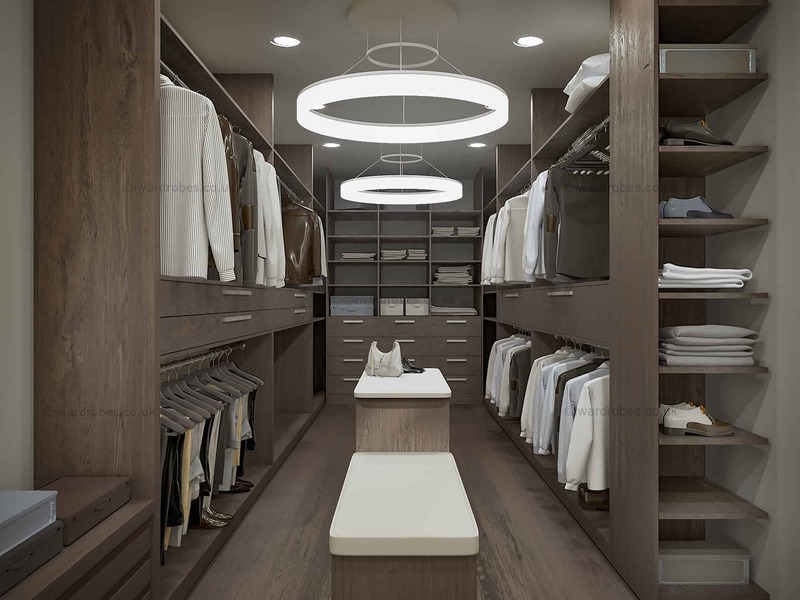 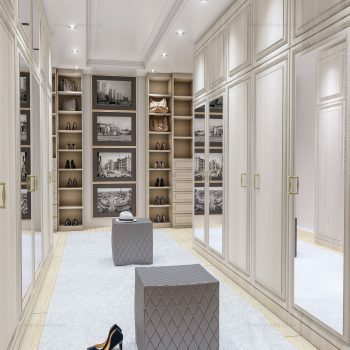 A walk in wardrobe is one the most private and luxurious rooms of a home. 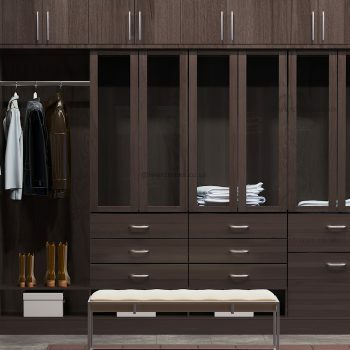 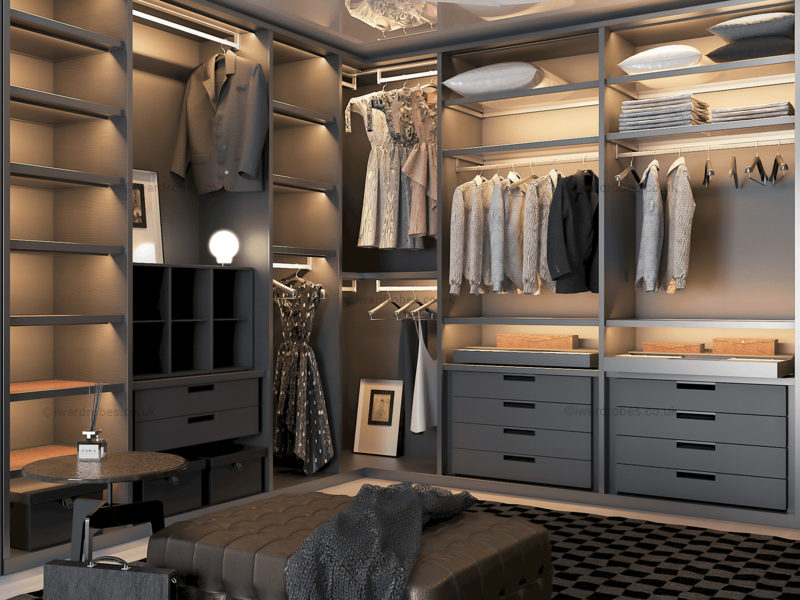 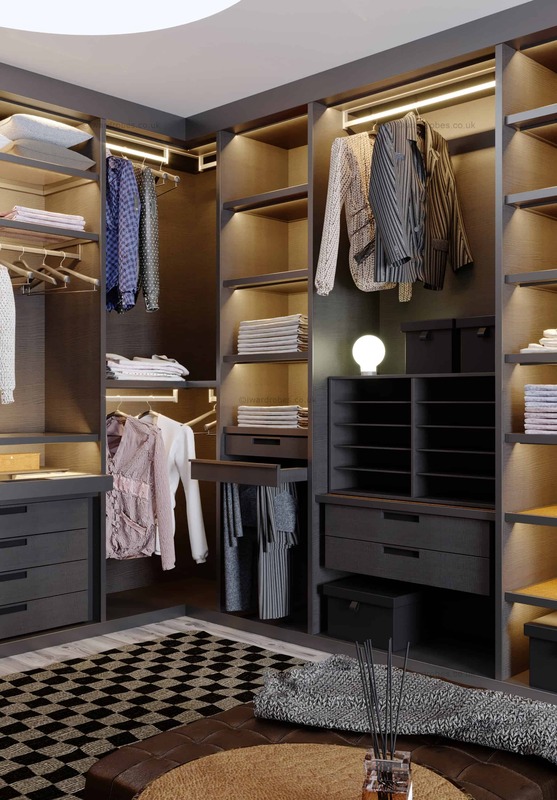 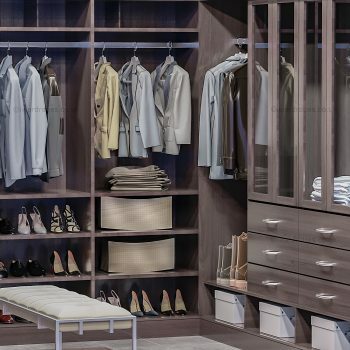 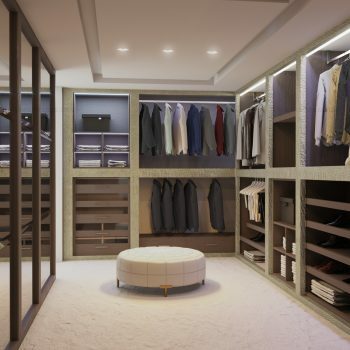 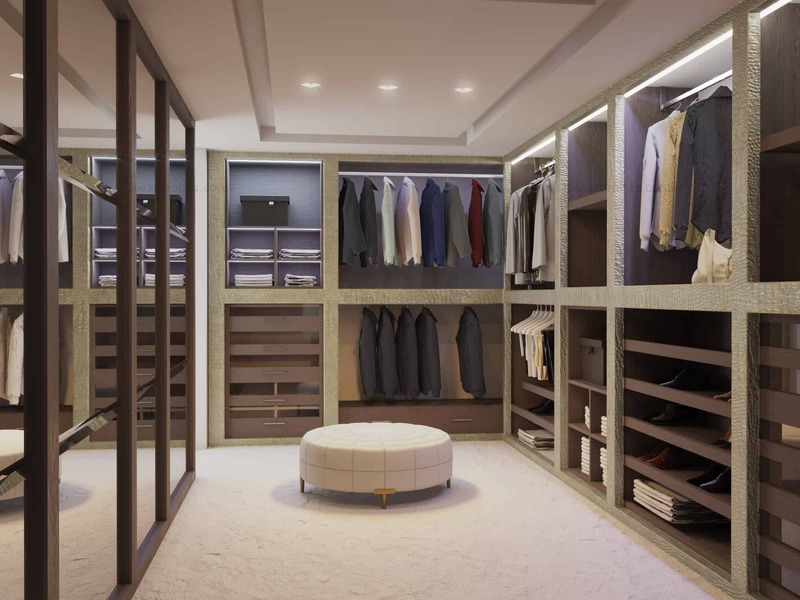 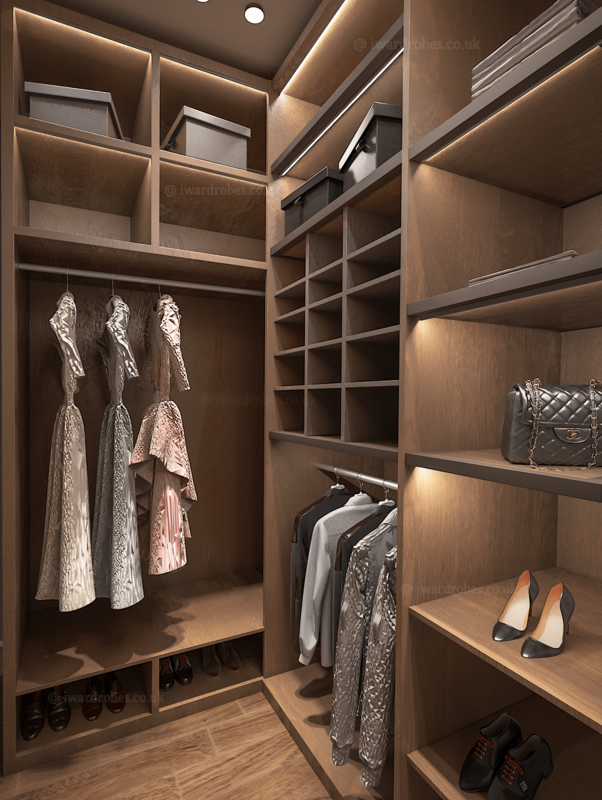 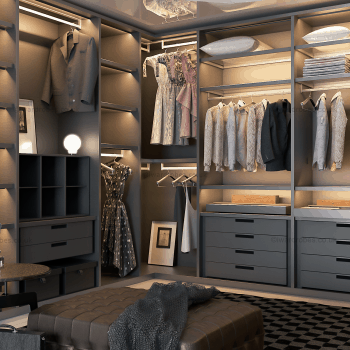 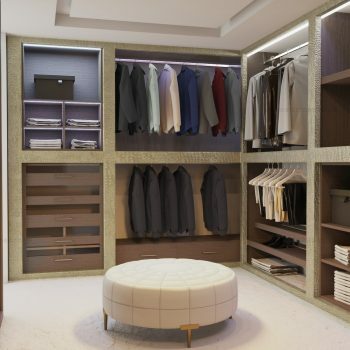 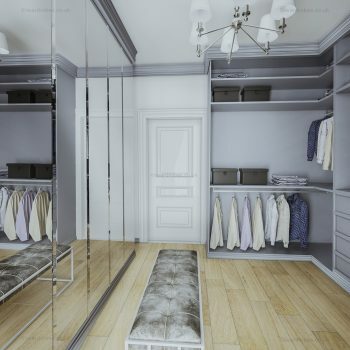 Creating a unique walk-in dressing room helps you to utilise your bedroom space, and enjoy the process of dressing up and to neatly store and organise your precious shoes, accessories, clothes and bags. 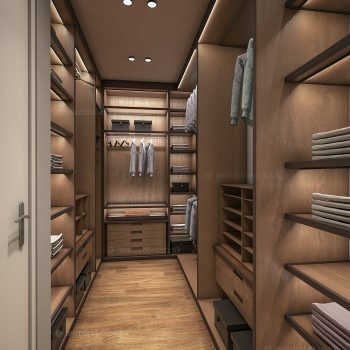 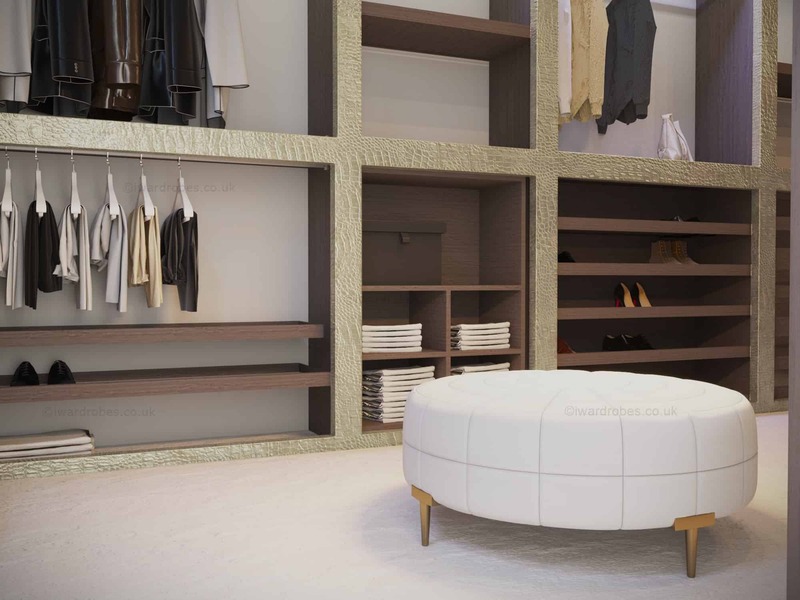 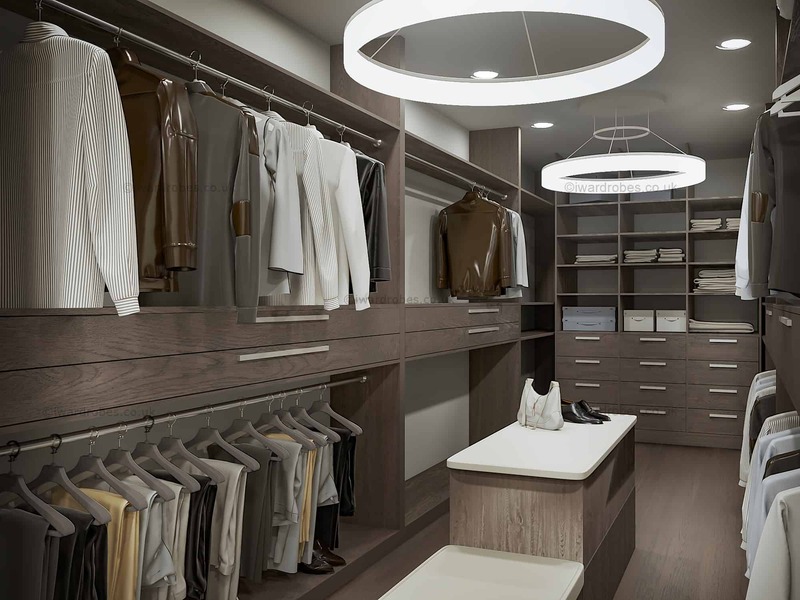 Many customers say, that our bespoke dressing rooms add a chic, relaxing atmosphere and vibe. 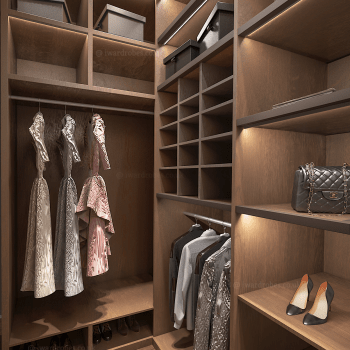 Have you ever had a situation when while looking for a particular piece of clothes or shoes you manage to find some sweaters, dresses, pair of jeans or sandals you have forgotten about? 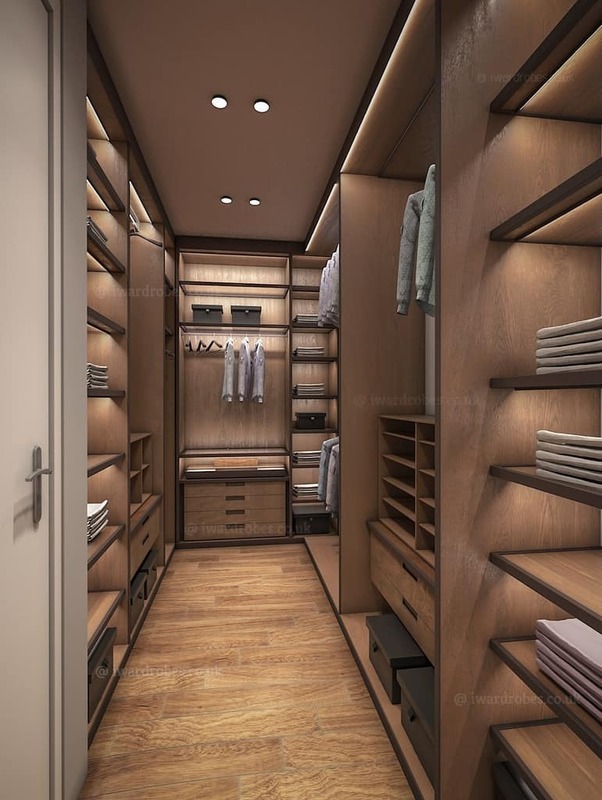 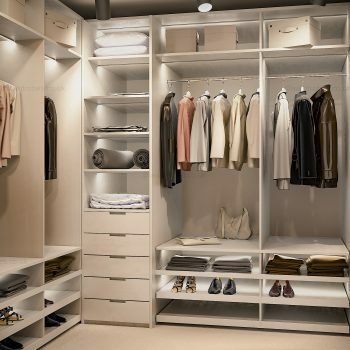 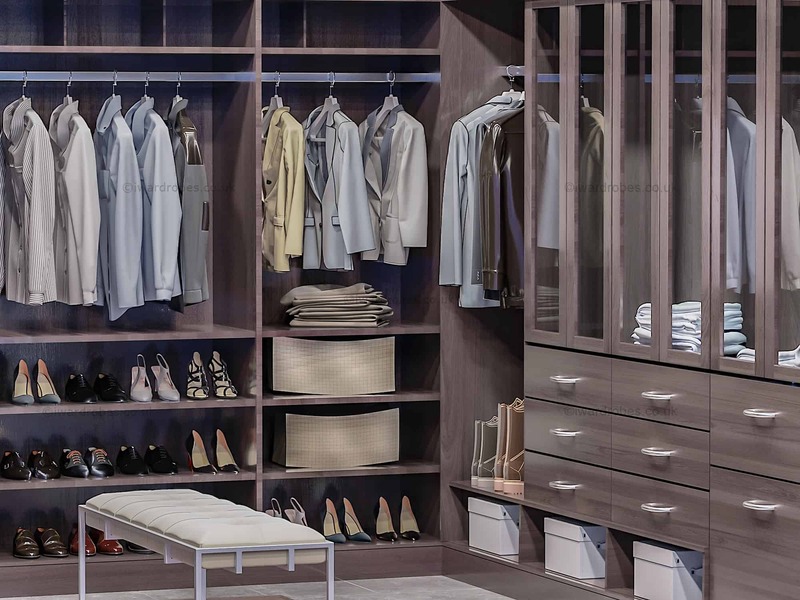 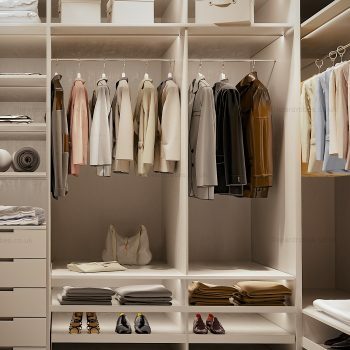 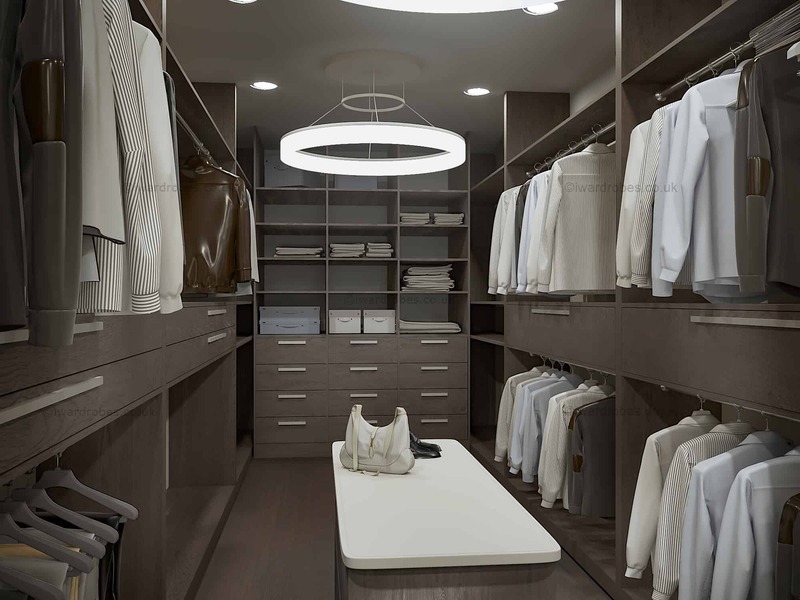 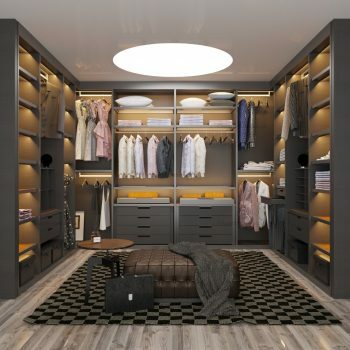 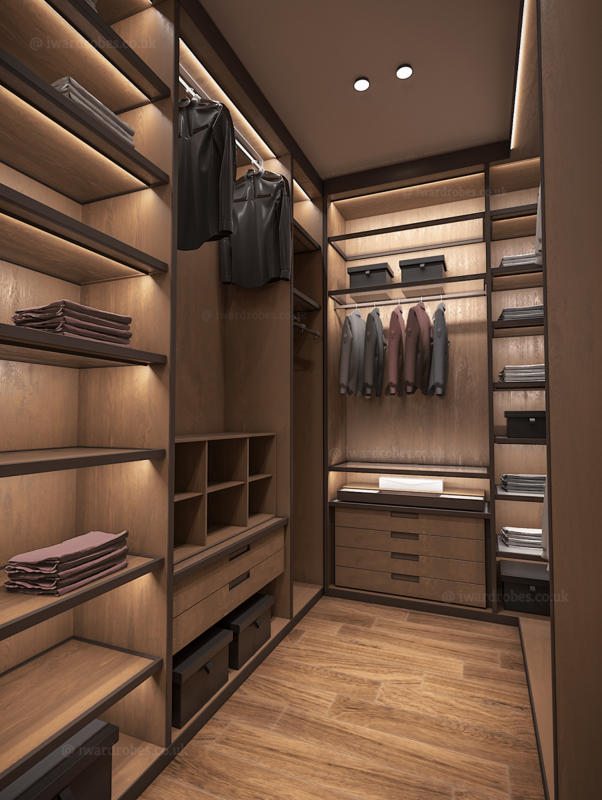 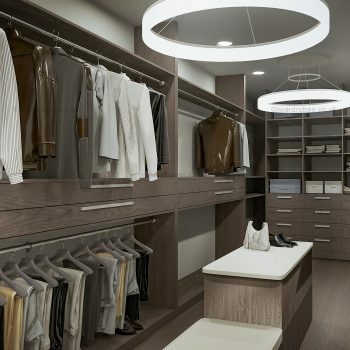 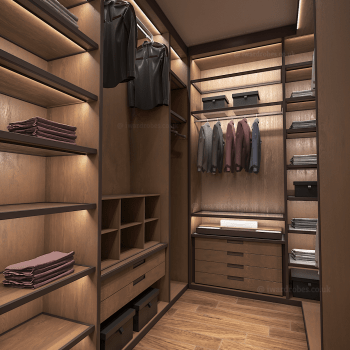 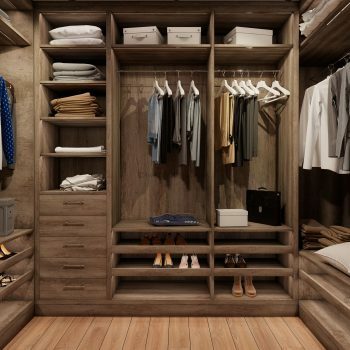 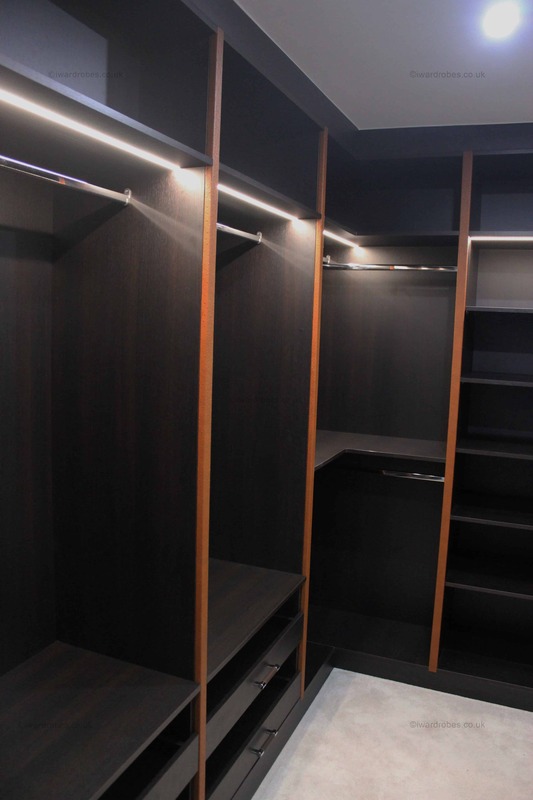 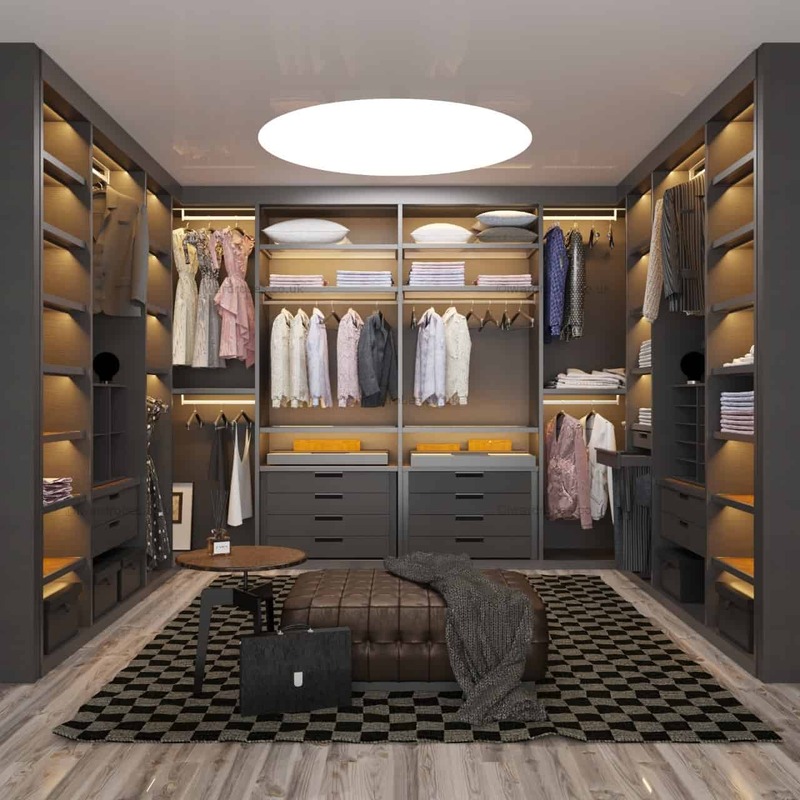 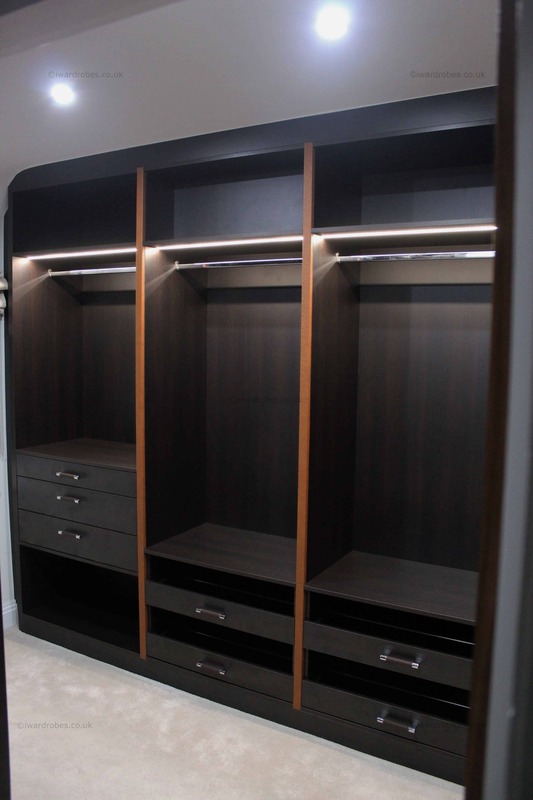 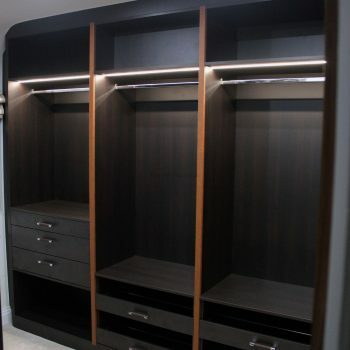 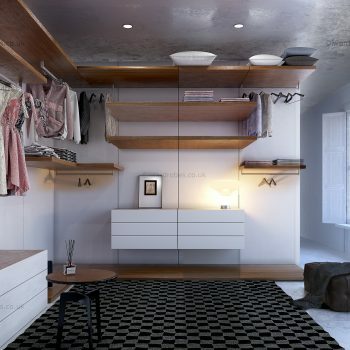 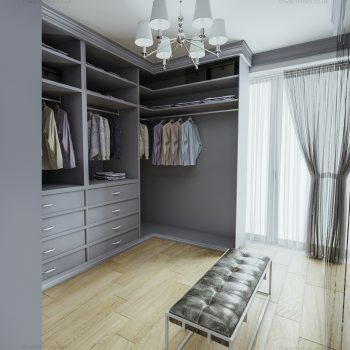 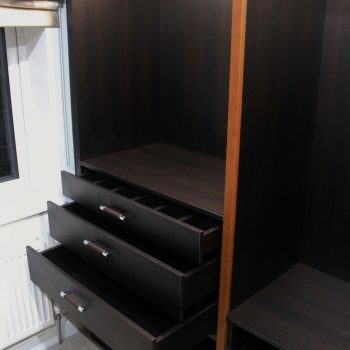 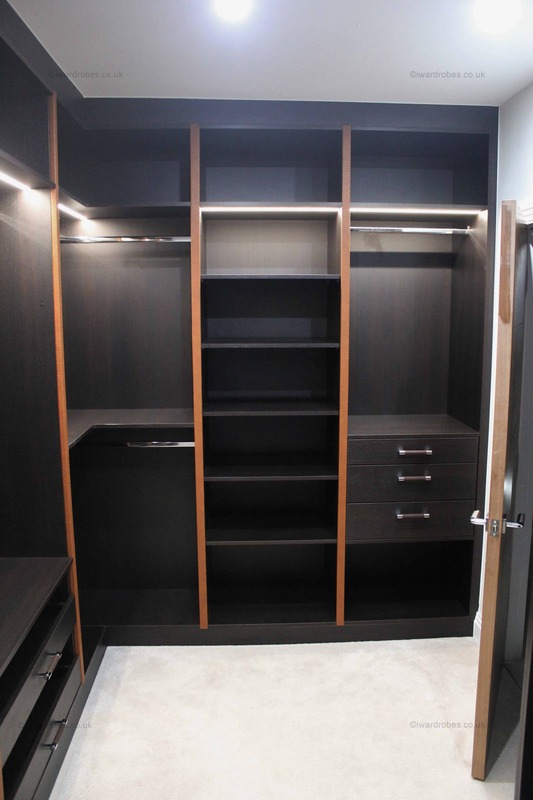 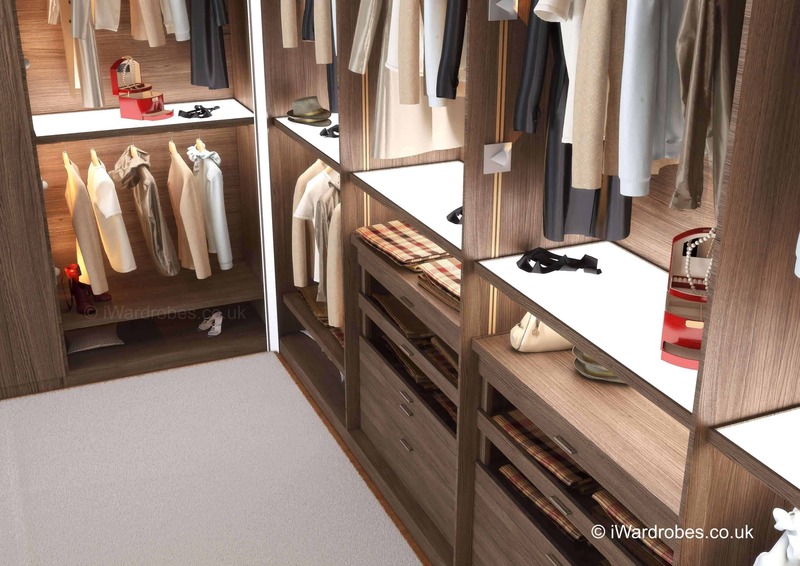 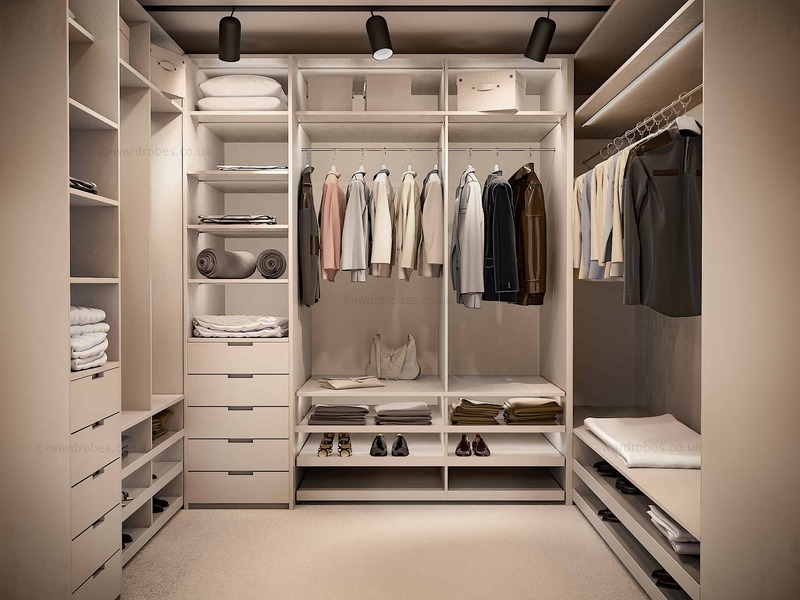 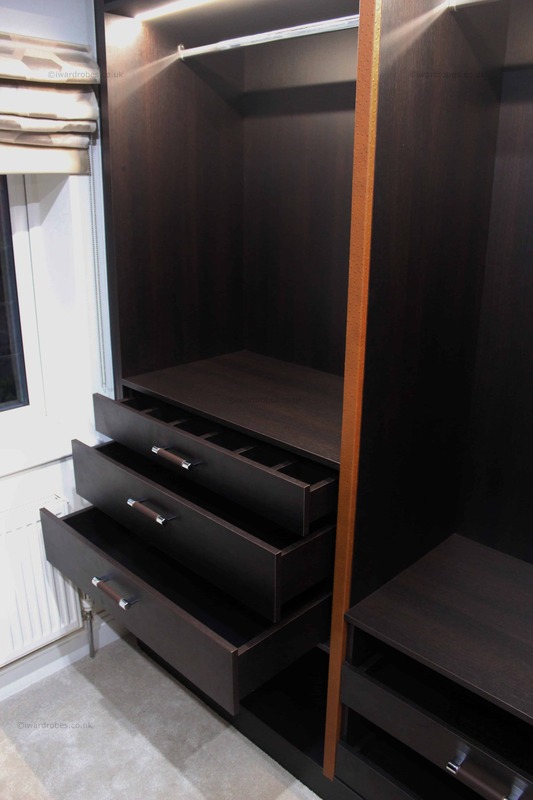 Custom-made walk-in wardrobes help you to keep everything in order and organised. 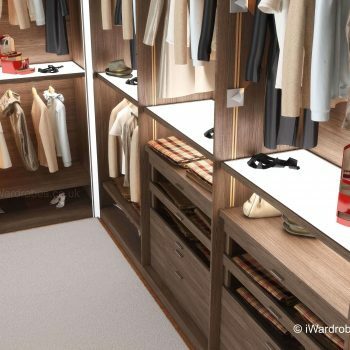 There are two kinds of construction for walk-in wardrobes. 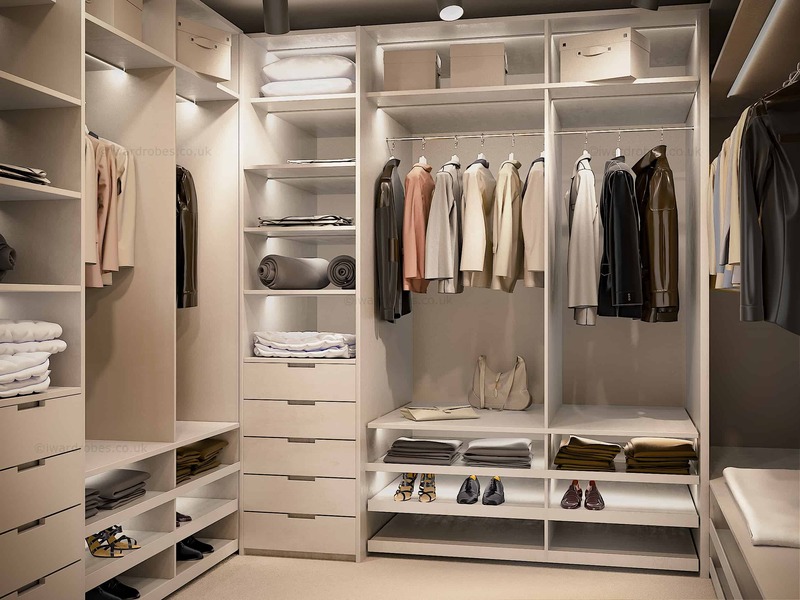 One is an “Aluminium Storage System” based around a special lightweight racking system. 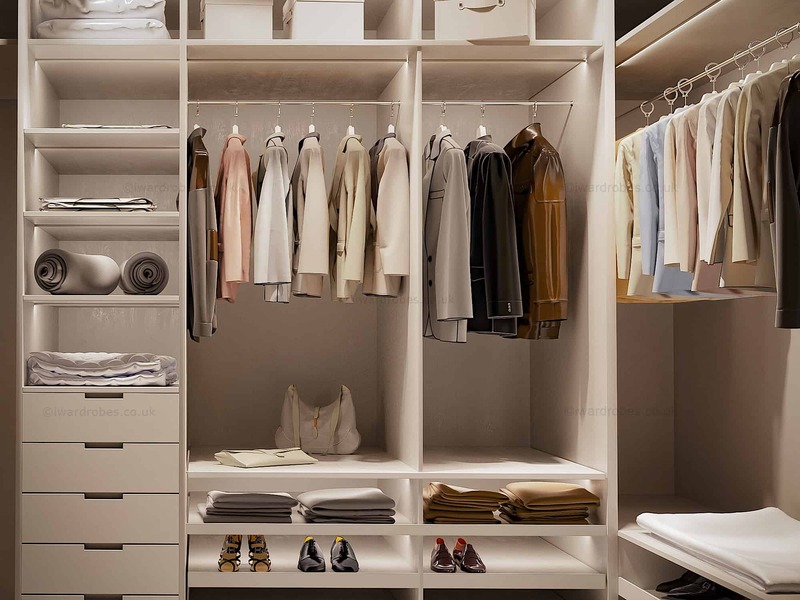 The shelves, drawers and hanging rails are attached to this system. 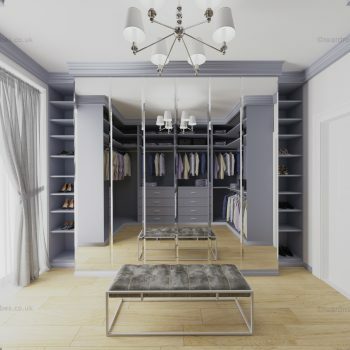 Such constructions easily embedded in any room configuration, if necessary, they can be easily adjusted, transformed or even moved to a new location. 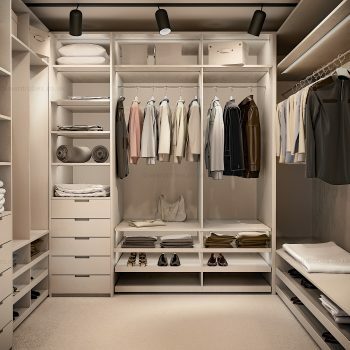 For more information on this system please click here. 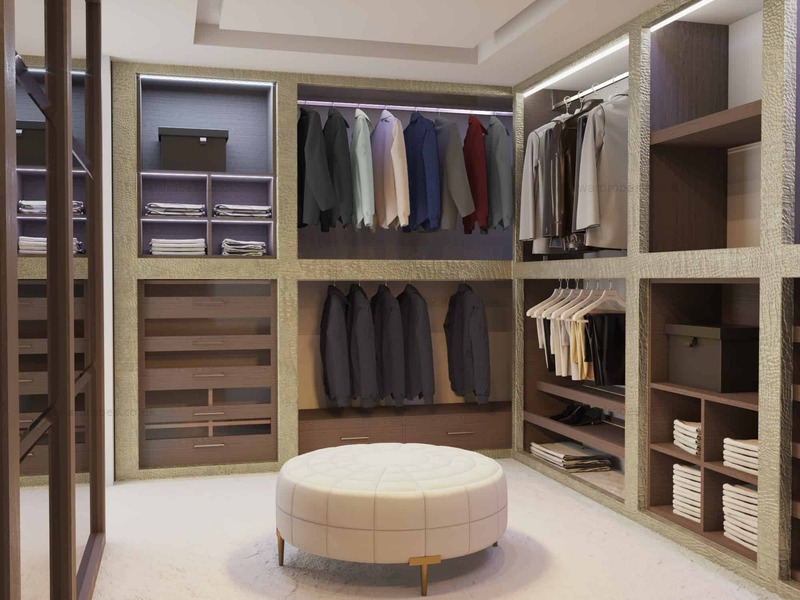 The second option is a kind of expansion of the wardrobe with wall panels, shelves, dressers and other necessary features. 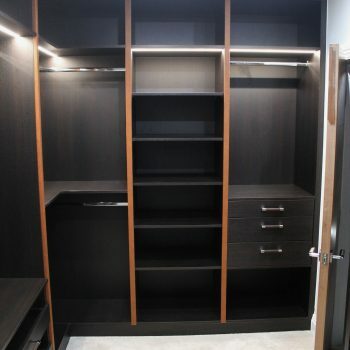 Standard equipment includes drawers, shelves, hanging rails. 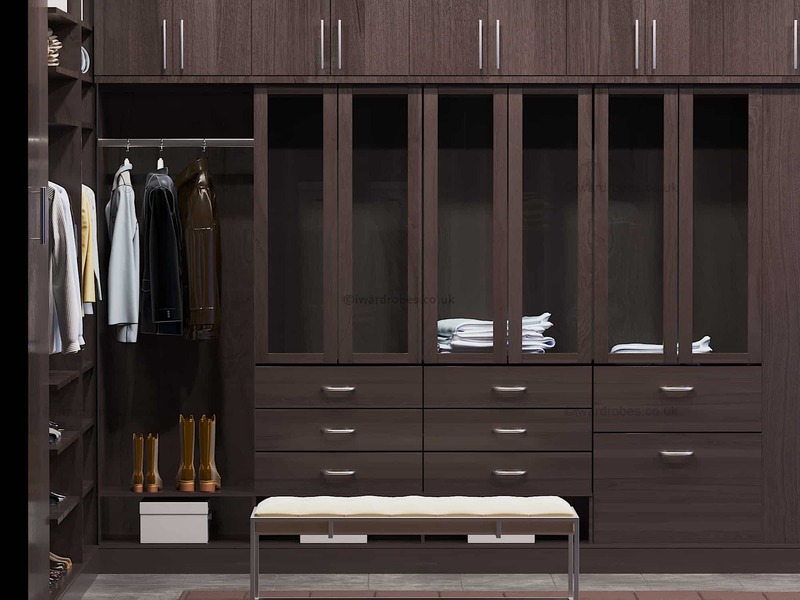 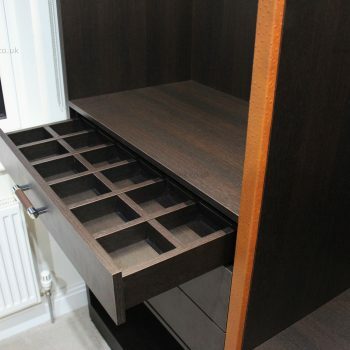 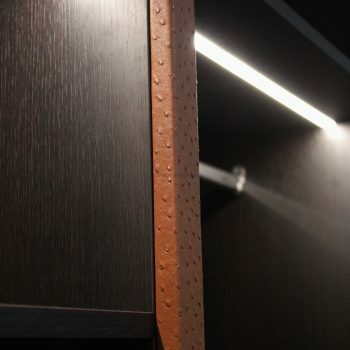 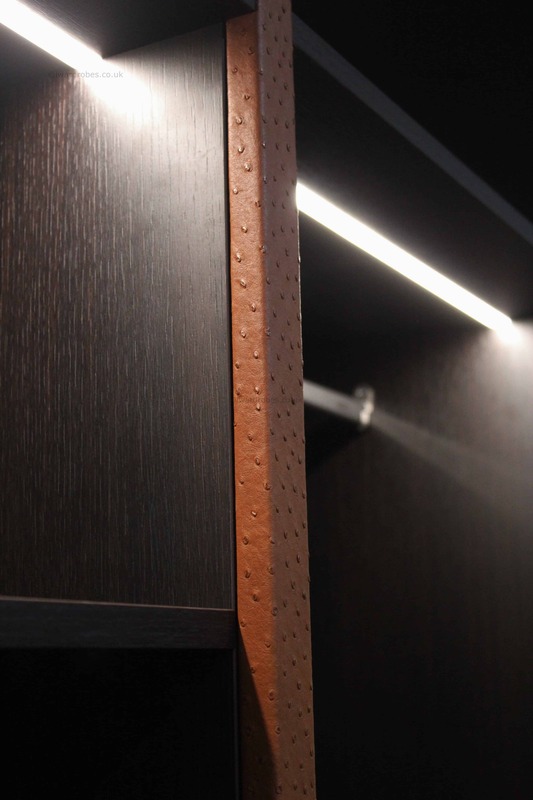 Classic design and modern technologies can be combined in one beautiful and functional wardrobe. 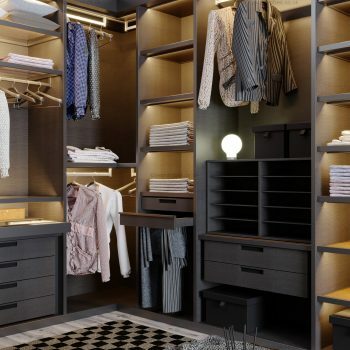 Items such as pull out brackets for belts and ties, drawers for shoes and pull down hanging rails provide great storage solutions for all accessories.